Happy Friday Folks! The theme of this Friday 5 is all about Fall! I don't know about you, but we are certainly not ready for fall yet. In fact, we are at the beach today! 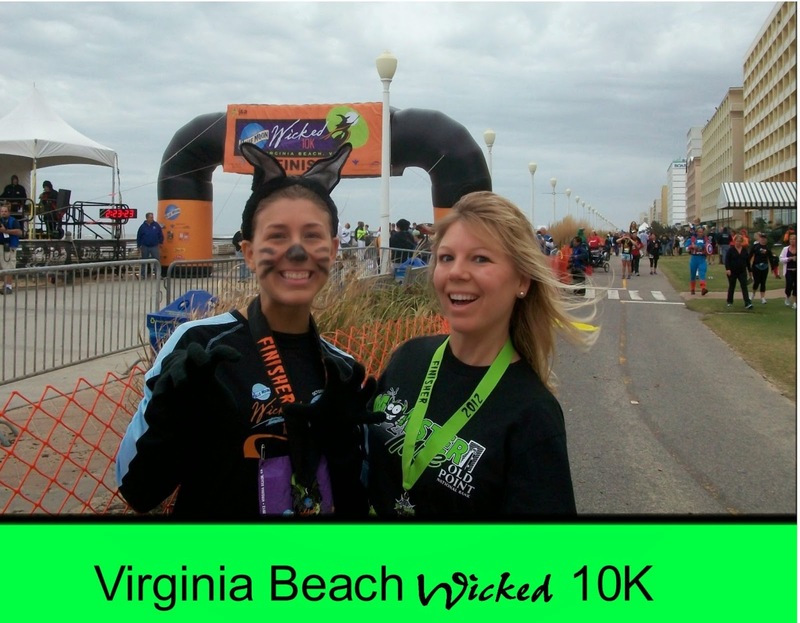 We'll be running the Rock n Roll Virginia Beach series of races this weekend! 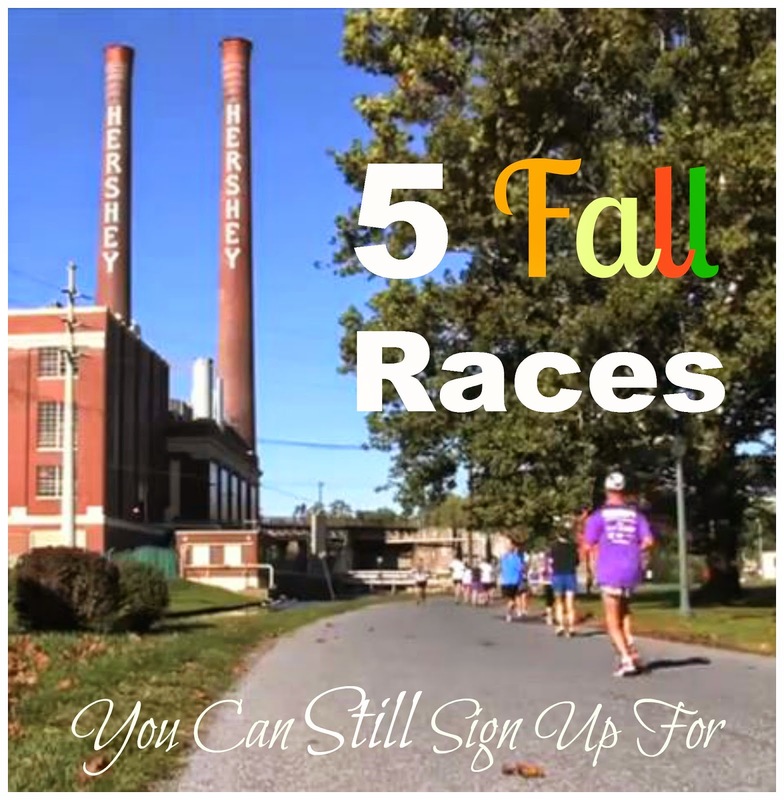 Speaking of races, do you have a fall race or two on the schedule this year? If not, it's not too late to register for one. Here are a few races that we've found that have not sold out yet! 1. Atlantic City Marathon Series. Do you want to run on the boardwalk and along the ocean front? If so, you might like this race series! We've done the Atlantic City April Fools race series ( which takes place in the Spring) and have found that this is a good course. This race takes place the weekend of October 19th and includes a 5K, 10K, Half and Full Marathon. This race has a distance for everyone and would make for a great family weekend. We haven't done this race yet, but hope to next year. 2. Hershey Half Marathon It just might be the sweetest race on earth! Although we won't be able to do this one this fall, one of the Hershey races is on our list to do for sure! This race weekend also takes place on the weekend of October 19th. That must be a popular race weekend! I did this race last year and had a blast. 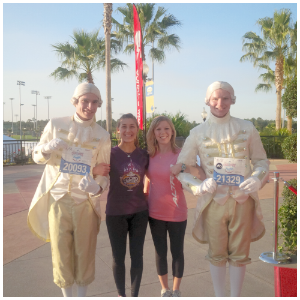 Runner's World really does put on a fantastic race weekend. There is so much to going on during this weekend that the races are just a small part of it. You can read my Runner's World Experience HERE and HERE. The J and A Series of races have become quite popular in recent years. The Wicked is one of our favorites for sure. We've participated in this race for the past 2 years but because of some conflicting schedules we will have to pass on it this fall. We are kind of bummed too because this year, the post race beach party is back. The first year we participated the party was moved to the convention center because of an impending storm (AKA Hurricane Sandy). The following year they played it safe and scheduled the post race festivities at the convention center. I'm glad the party is now back to the beach! If you cant make the Wicked 10K but want to experience a J and A race, don't forget about the Inaugural Harbor Lights Half marathon and 5 K on November 22 and 23. I first heard about the Biggest Loser series of races back in 2012. They started with road and off road races, and now have moved to Amusement park races. That's right, the biggest Loser now has a race at Six Flags Great Adventure! This is a 10K, 5K, and kids mile! If running through an amusement park isn't your thing, the Biggest Loser series has plenty of other fun races throughout the year. You should really check them out to see if there is one near you! 5. Richmond : Apparently this is America's Friendliest Race! This looks like a great family friendly weekend with races of all different distances. A marathon, half marathon, 8k, and kids mile and half mile will all be on tap the weekend of November 15th! So which races will we be doing this fall? So far, Disney Happy Haunted Trail Run, Disney's Tower of Terror, Marine Corp Marathon, and Rock n Roll Las Vegas are all on our schedule! 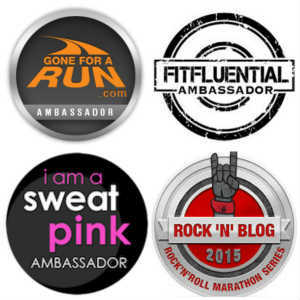 Which races are you doing this fall? Hey gang! I'll be spending some time with my sister today as we get all our race gear together for this weekend's festivities in Virginia beach but we couldn't let a Thursday go by without some Thursday Thoughts. A few thought are my own and a few are some things that I've been ask to pass along to you from our friends at Runner's World. You all know that I had 2 cortisone shots on Monday to help with hip pain, but what I didn't tell you is that I have been having chest pain since Sunday night. While at the doctors for my cortisone shot I mentioned the chest pain to her. She told me it was just anxiety and asked me what I was stressed about. I told her the only thing I was stressed about was getting these shots! Now that was over and I STILL had the pain. She just dismissed it as anxiety. Luckily I have a friend that is a P.A and she checked my pulse and my chest and assured me that it wasn't anything cardiac related. I may have pulled a muscle. So with all that being said, I did not run AT ALL this week. Yes, (gasp), I took a step back from my training plan. I figured that the 14.1 miles I will be running in VA Beach this weekend will make up for it, don't you think? RW reporter Megan and I looking over an issue of Runner's World. This next announcement is from Rodale, (the publisher of Runner's World, Bicycling, and Men's Health magazines among others). They are announcing an event called the TRIPLE CROWN. 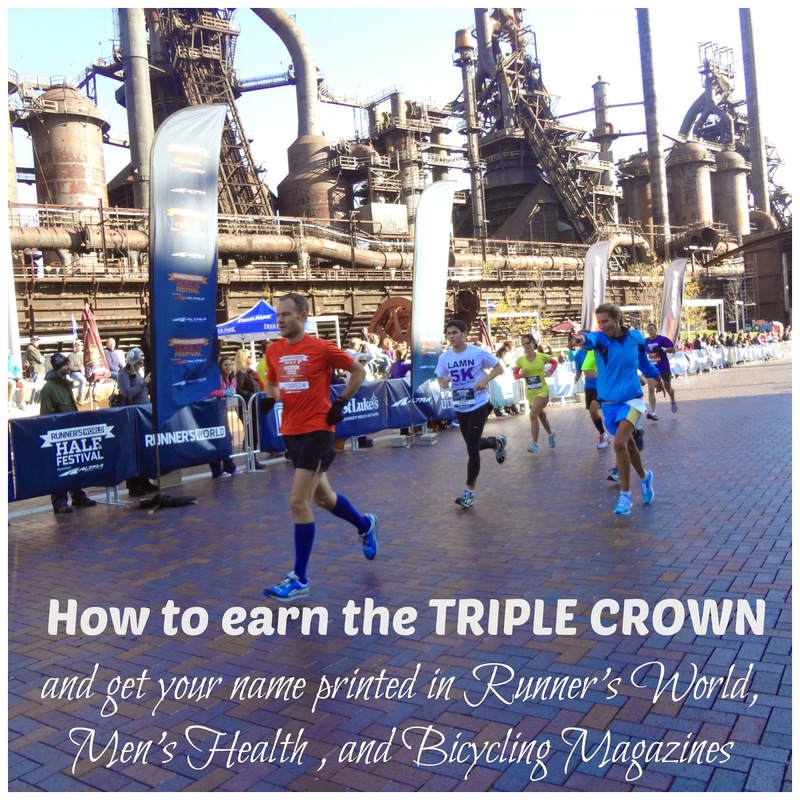 Those who complete the Rodale Triple Crown will have their name printed in a special event recap in Bicycling, Runner’s World, and Men’s Health magazines as well as a 15% registration discount on each event. To register or for more information, visit http://www.rodaletriplecrown.com/. So there ya have it, if you want to see your name printed in Runner's World or any of the above magazines, you'll have to participate in this event...haha! 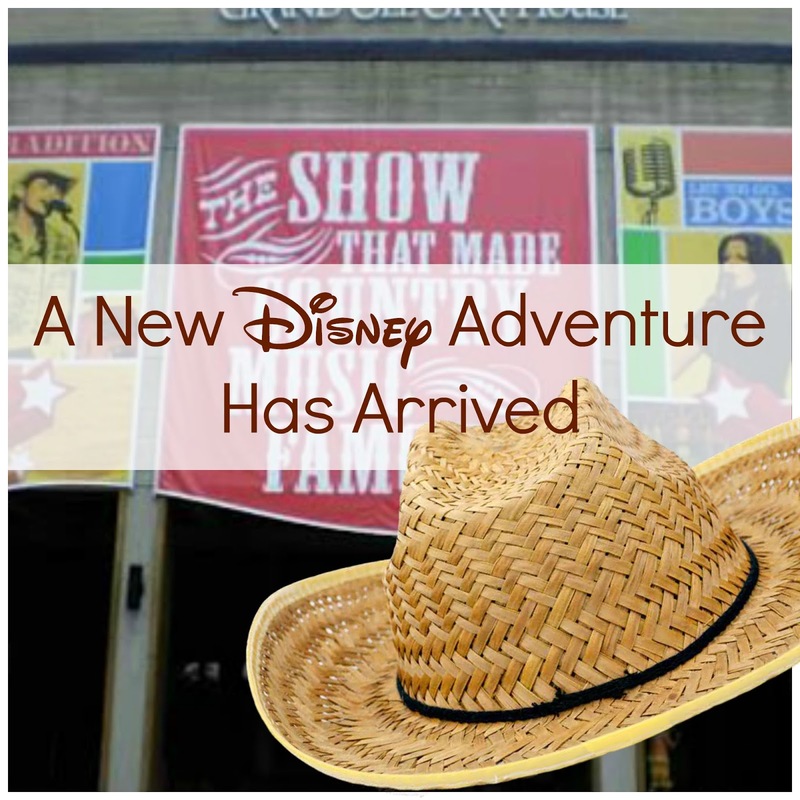 Between the Disney parks ( both East Coast and West Coast), the Disney Cruise Lines, Disney Beach resorts, and Adventures by Disney, there is always some surprise lurking around the corner and there is always something new being announced! Today I just found out about a really cool Disney experience. Disney has created quite a few long Weekend Trips among their Adventures by Disney Collection. The newest one is this fabulous long weekend to Nashville! *A performance at the Blue Bird Café ( The café featured on the hit TV Show "Nashville"
We featured a bit about experiencing Nashville on our blog last summer. if you'd like to see more about the backstage areas, where the show "Nashville" is filmed, and the Taylor Swift exhibit, you can see that HERE. So who wants to go to Nashville? Who's been there? 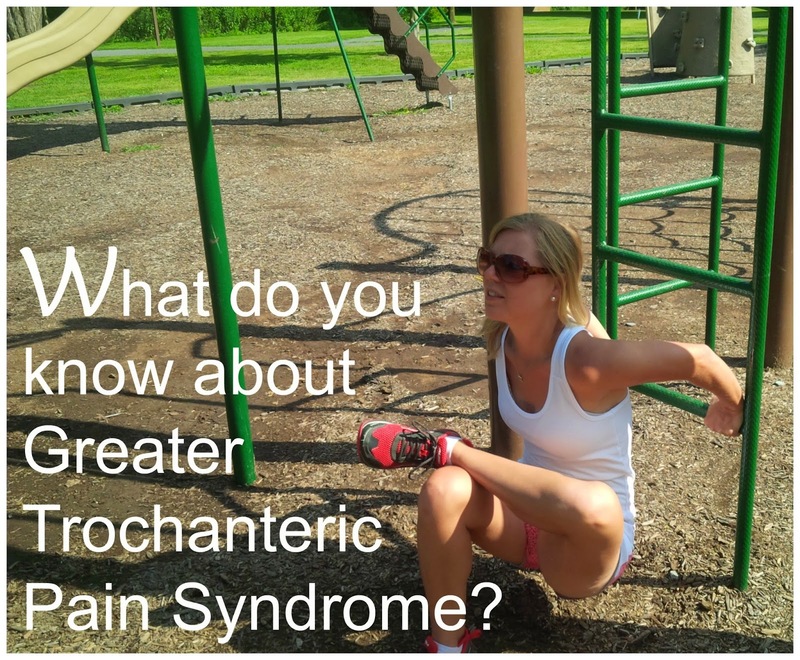 What do you know about Greater Trochanter Pain Syndrome? If you have been reading our "Peek in our Week" posts that we post on Sunday afternoons then you know that I have been diligently following the Goofy Challenge training plan since it started back in July. 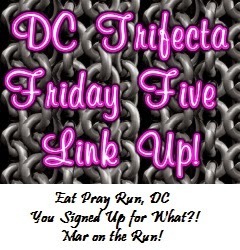 It's a fairly easy plan and only calls for three runs a week, 2 short runs and a long run. So far I've been able to handle this with little IT Band flare ups. However, my hips have been the source of my pain for a while now. Fortunately the hip pain does not impact my running as much as it impacts my day to day movement. I am really sore each time I stand up after sitting down, and I am very sore each morning after a night's sleep. But hey, this is better than IT Band syndrome, right? I've been doing the stretches and I have even got the cortisone shots on both sides. Well yesterday I went back to the doctor for more cortisone shots. Not only did my doctor say I was running too much, it was also determined that I could possibly have Greater Trochanteric Pain Syndrome. Which is basically bursitis in the outer thigh ( Greater Trochanter muscle) due to the bursae being inflamed. If you've never heard of a bursae, it is a fluid filled sac which allows for smooth movement between two uneven surfaces ( bones). Repetitive movement ( like running) can cause it to become inflamed. After every run I make sure to stretch out on the playground equipment. This is a good move for IT Band pain and the Greater Trochanter muscle. It often occurs in people age 50 or older. It can occur in younger people, especially runners. It effects women more often then men. So after working really hard to get all my training runs in, I've come to realize that it is better to listen to your body then to always follow the training plan. So what if I miss one 45 minute run, I would rather have that extra day of rest if I feel I need it. 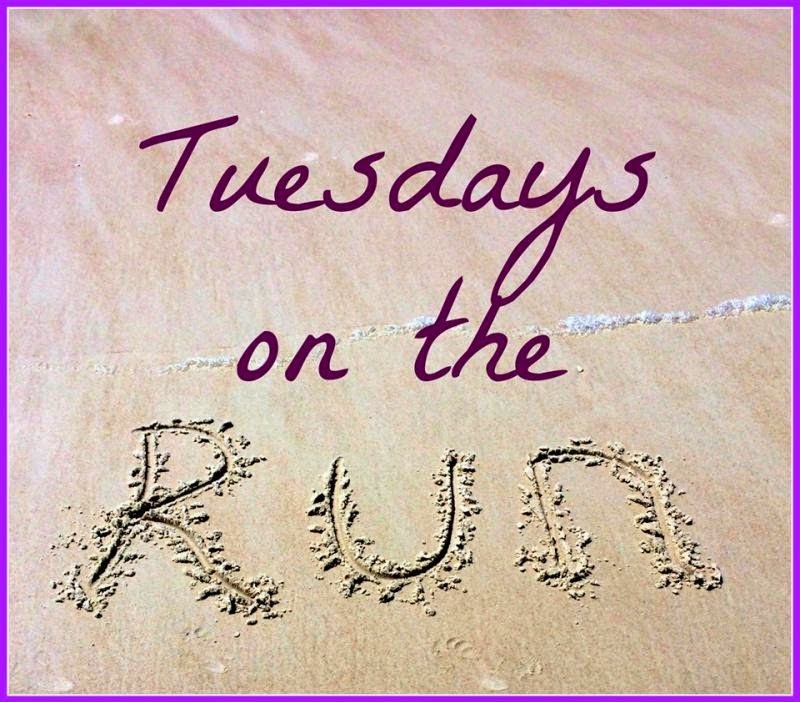 Kristy from Runaway Bridal planner wrote a nice article yesterday about Runner Common Sense. I'm going to take her advice! After putting in quite a few miles this summer, I was ready to give my sore and tired feet a little spa day at home. Here are just a few of the things that helped me have an enjoyable spa day at home. 1. The U Comfy foot massager. I know we've mentioned this one before. My sister and I each got one of these when we decided to sign up for our first marathons. Unfortunately I never got to run my first marathon ( Big Sur), but this is definitely coming in handy as I train for the Disney World Marathon ( and Goofy Challenge). 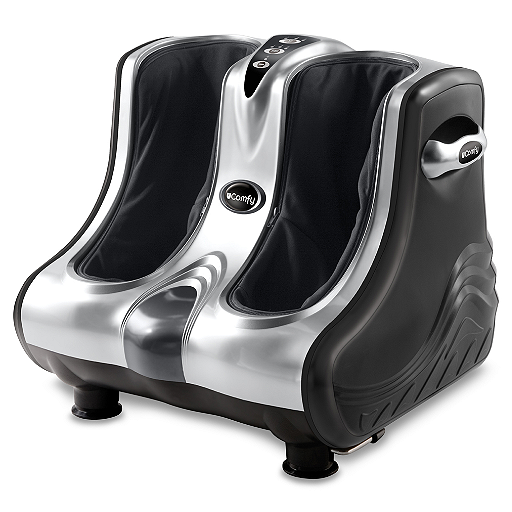 This is one of the BEST massagers because it not only massages your feet but it massages your calf muscles as well. That is usually the part that I need the most help with. Now if I could only find a massager that worked on my hips and glutes! 2. After using the U Comfy Massager, I soaked my feet in the little foot spa I have. I dropped in a few mint fizzies. The foot spa is from Conair and has heat, bubble, and vibrating functions. 3. This next product I haven't used in such a long time. It's an energizing foot mask from the Mary Kay Private Spa Collection. You massage it on to dry feet and let it dry for 10 minutes. After you rinse it off it definitely gives your feet a cooling sensation. it also helps with exfoliation. 4. 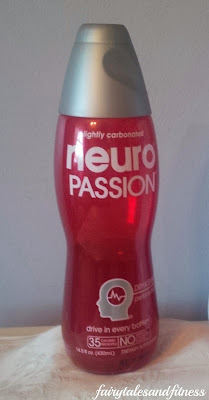 This is a product I think everyone should keep in their desk drawer. It's Mint Bliss energizing lotion for feet and legs also by Mary Kay. 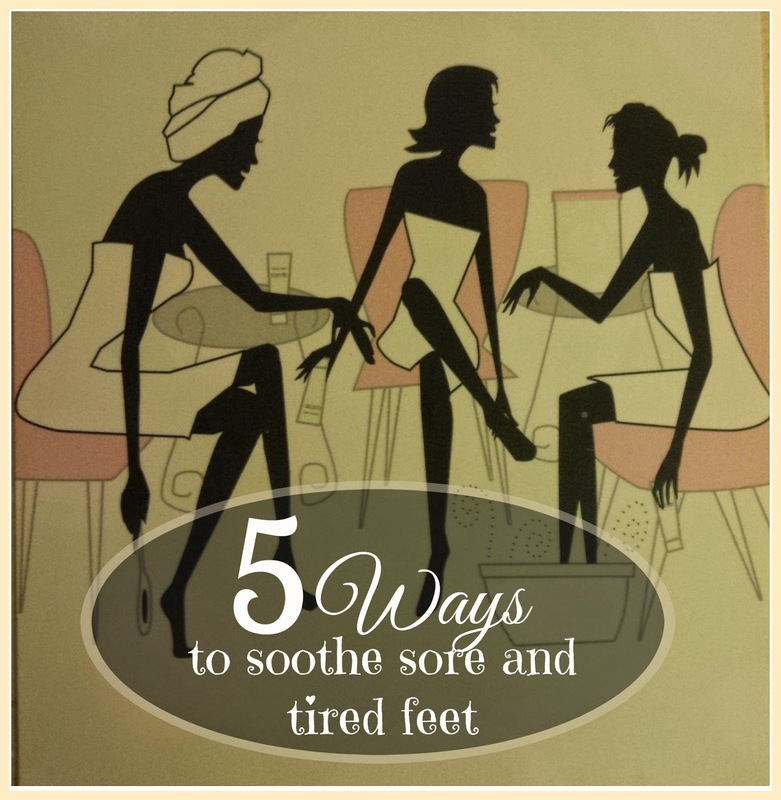 Not only can you put this on tired feet and legs, but women can also put it right over top of their nylons! 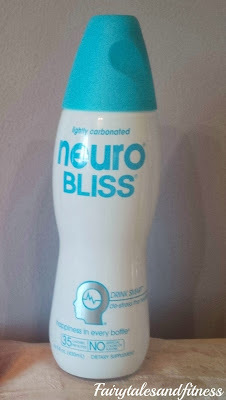 This is why it's good to keep it in your desk drawer at work so you can just pull it out and slather it on when your feet or legs are feeling like they need a "pick me up". 5.After pampering my feet and giving myself a much needed pedicure, I slipped my feet in to these socks. 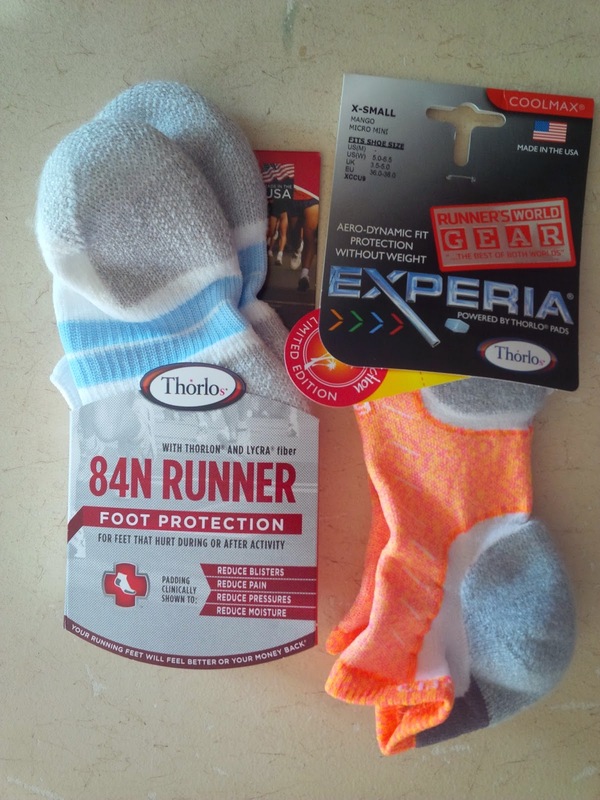 The generous people at Thorlos must have seen a post I wrote a few weeks ago about how my feet were hurting so they sent me a few pairs of their super comfy socks to try. I've hear of Thorlos from our friend Lauren ( from Lauren's Glass Slipper) but I never tried them myself. 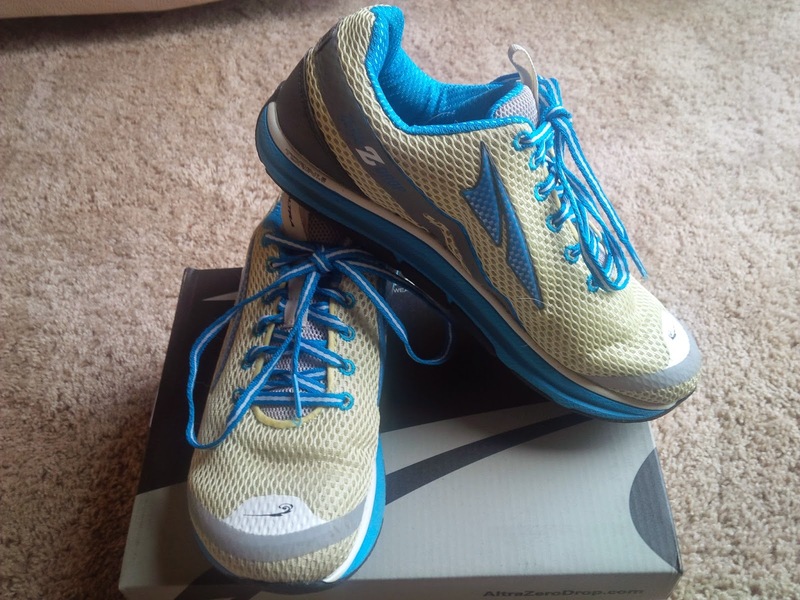 The unique thing about Thorlos is they have a padded forefoot and padded heel. Something I've never had in a running sock before. These socks are said to reduce blisters, reduce moisture, reduce pain, and reduce pressure. Although I've only worn the grey and blue pair around the house, I have worn the orange pair ( actually called Mango) out for a run and they did not disappoint! Thorlos for the win! Happy Sunday folks! As you know this is the part of the week were we recap what we've done through out the week and some of the new things we tried. 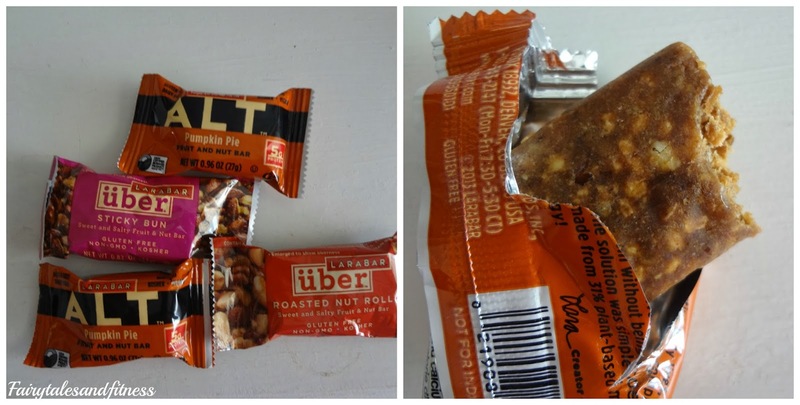 I don't know about you but one of our favorite things about reading blogs is learning about new products. 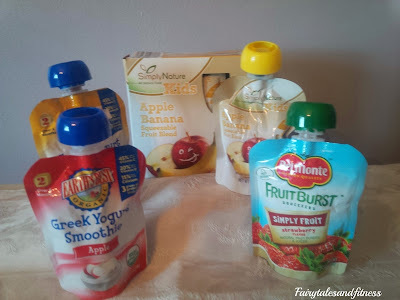 We've tried a lot of new things because you guys had recommended them. So here's how our week went down. 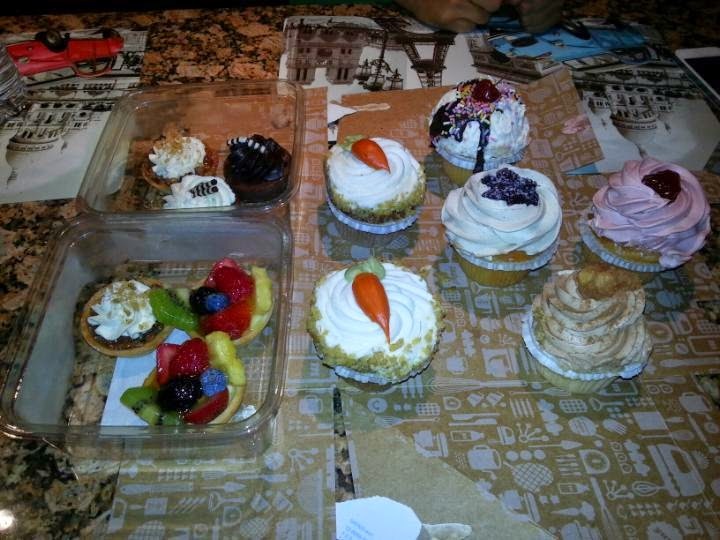 After my class on Friday I had a dinner party with some friends and played some games. It was so nice to catch up since everyone is always so busy with work. 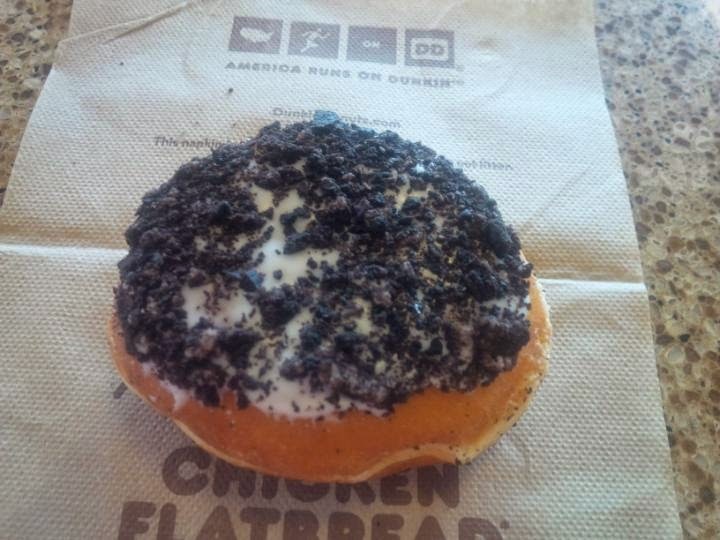 I've mentioned a few times about how I do not like donuts and the thought of Krispy Kreme's make my stomach turn, well all summer I have been seeing commercials for the Oreo Cookie Donut at Dunkin Donuts and I admit I was intrigued. So Friday morning after my 9 mile run, my mom and I went to Dunkin Donuts to try it out. 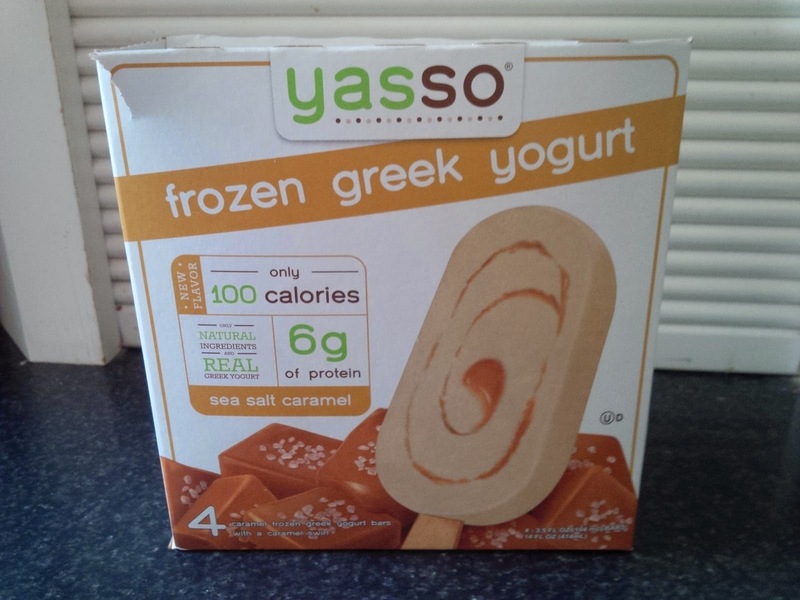 One thing I did find quite yummy last week were these Yasso bars! 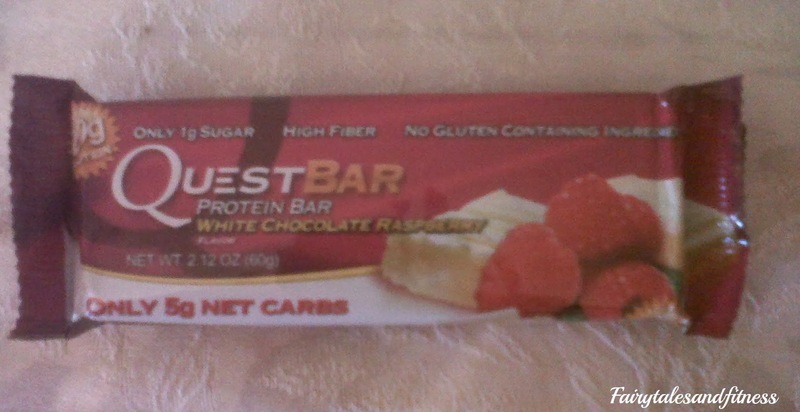 These are frozen yogurt bars that come in a variety of flavors. I had really wanted to try the mint chocolate chip but I couldn't find them at the store I went to so I decided to try the salted caramel. Earlier this week I listened to one of my single friends talk about some of the dates she had gone on and how after one date, she could tell that she wasn't really into him, but thought that maybe she should give it another try. As she was talking about her dating experience, I kept thinking about my running shoes ( even though I WAS listening to what she had to say). I thought how my experience or relationship with my running shoes has been very similar to her dating stories. Even though you don't want to judge something ( or someone) on the outward appearance, it is still what catches our eye first. There are several shoes that I just wanted to like so badly because of how they looked, but the feel was just off so I had to admit to myself that it just wasn't "The One". I've taken a few shoes out for a run and with in the first four miles I knew that they weren't for me. Yet I felt bad about making that decision only after the first run and thought that I ought to give them another try. But really if they weren't comfy after the first 4 miles, did I really think things would change? I have to admit that when I first started running I never had a problem with shoes and each one that I tried on was a good fit. 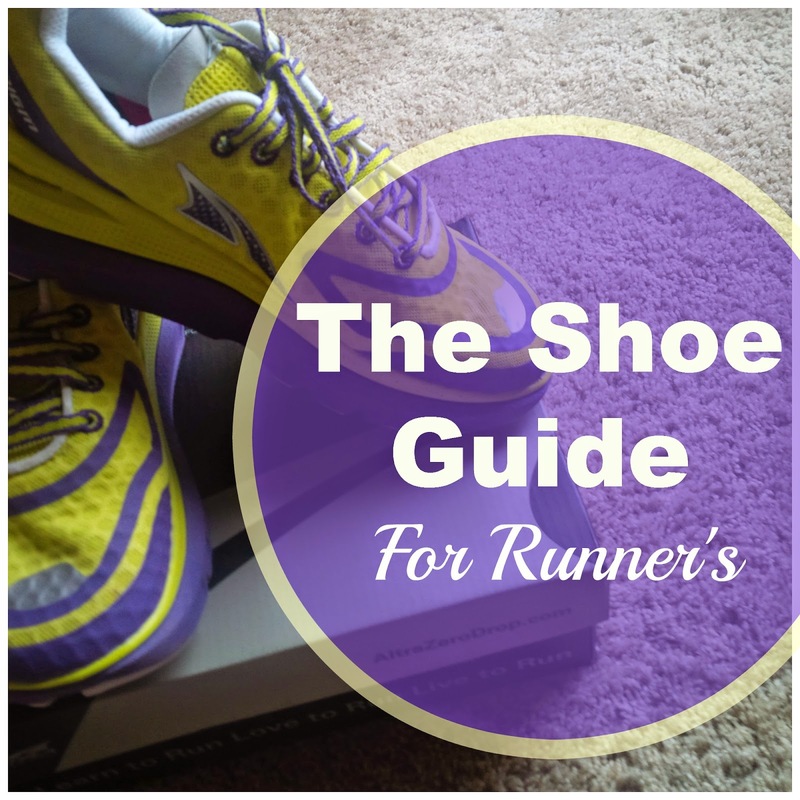 Since I've started running longer distances, I've had such a problem finding the perfect shoe. I blame this on knowing a little bit more about running shoes now then I did back then. Perhaps I am over analyzing things a bit too much. 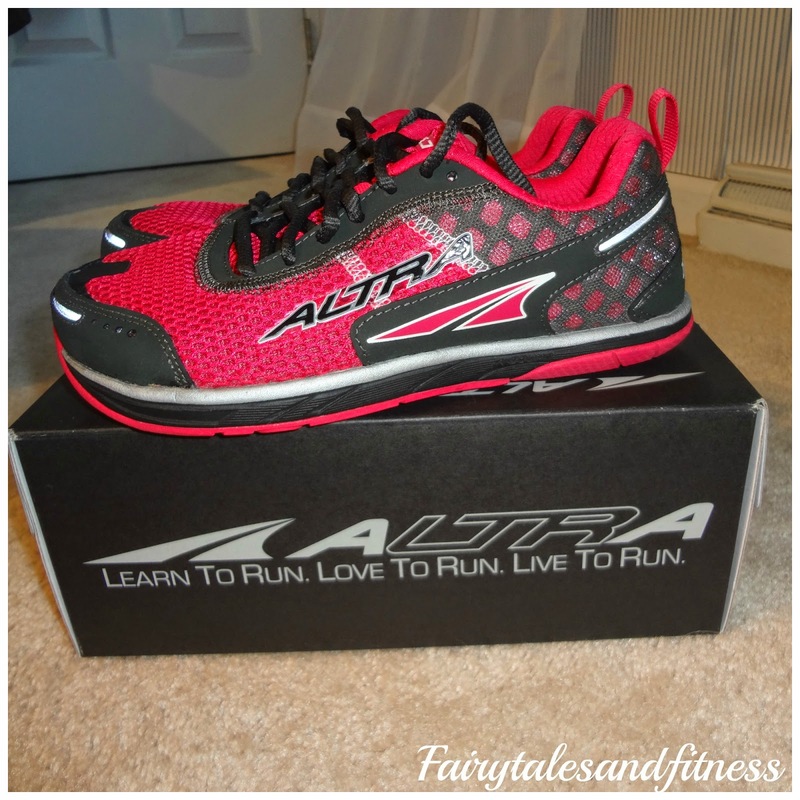 One thing that has been helpful for me is that I am an Ambassador for the Altra running shoe brand, therefore I've been able to test out different styles of their shoes. You may have seen the campaign going around Social media called "Embrace the Space". 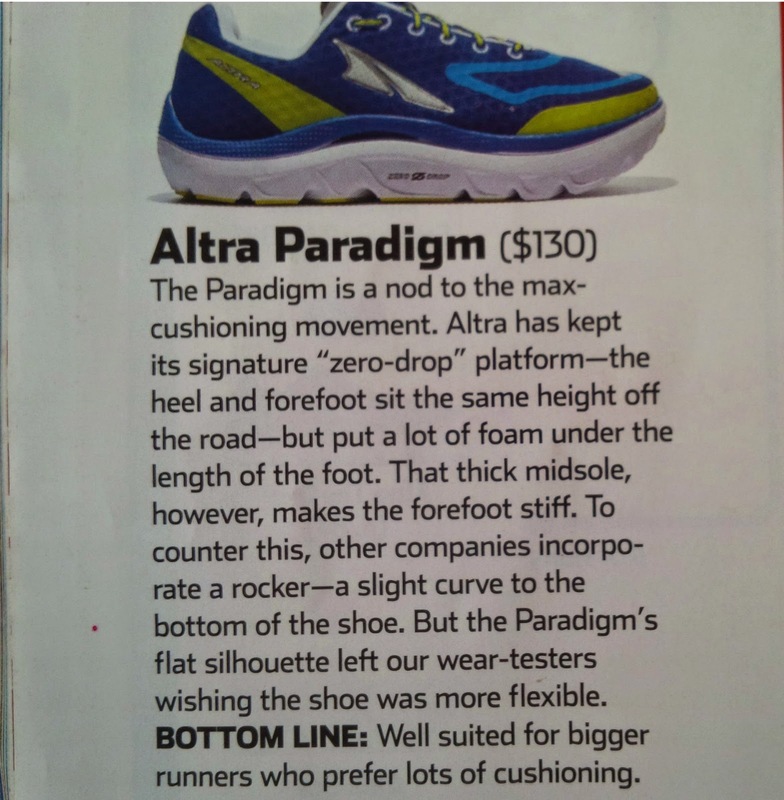 This is to show how unique the toe box is in the Altra shoes and how it gives your toes room to "Spread Out". This is my favorite feature of all the Altras and the one thing that has made it hard for me to find another brand of shoe that I like. I believe that each of these shoes may be the perfect shoe for someone out there but not all of them were the perfect shoe for me. I am just giving you a brief description of what I thought of them......Here goes! 1. 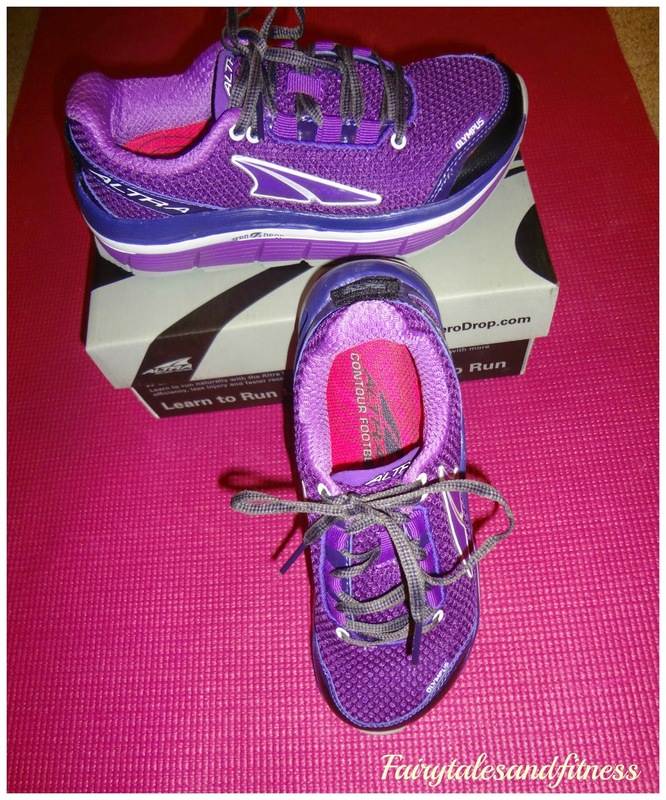 The Intuition 1.5: This was the first Altra shoe that I tried. This was the first time I experience the wide toe box and I loved it. It is a neutral shoe that is flexible and I felt it really moved with my foot. it has moderate cushioning. I realized that these shoes do run small. I got a half size larger than my normal shoe size. After getting a blister under my toe nail after the Princess Half Marathon I realized I should had got a full size larger. I still wear them for training runs though. 2. The Olympus: Thick shoe? Odd looking? Yes and Yes. This shoe is made for trail and road running which I thought would be perfect for me since half my training runs are on trails. I was a little taken back about the odd look. I was hesitant to where them in public at first because of that so I was going to make them my treadmill shoes. All this extra cushioning was like Heaven on the tread mill. I couldn't just feel like that on the mill so I decided to start taking them outside to run. I love how this shoe has a wide foot bed and its shape gives me a great "push off". Something I need since I struggle with a flared out knee and ITBS. I got this shoe in a full size larger than my normal size. It's a keeper for sure! 3. The Intuition 2.0 has arrived. 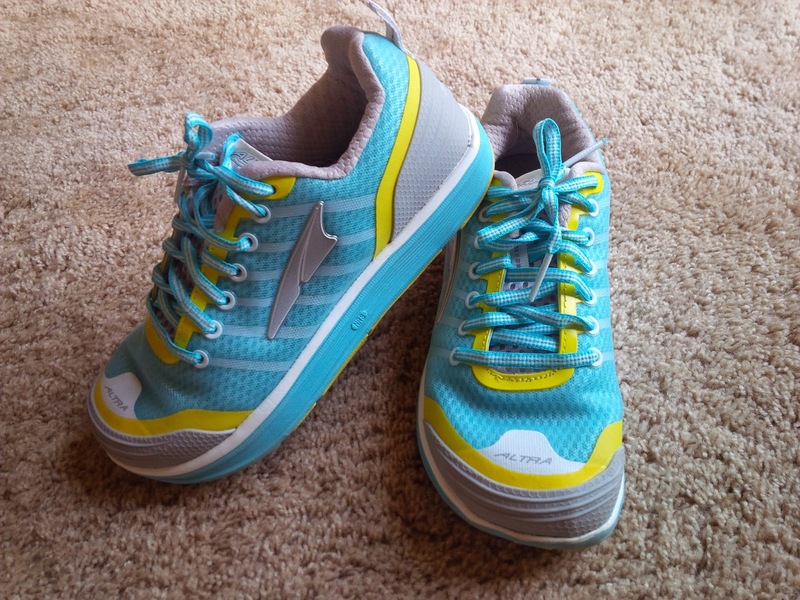 I have been wanting a pair of blue running shoes for over year but could not find ones in my size or that fir properly. Since I was a fan of the Intuition 1.5 I was excited to get these. 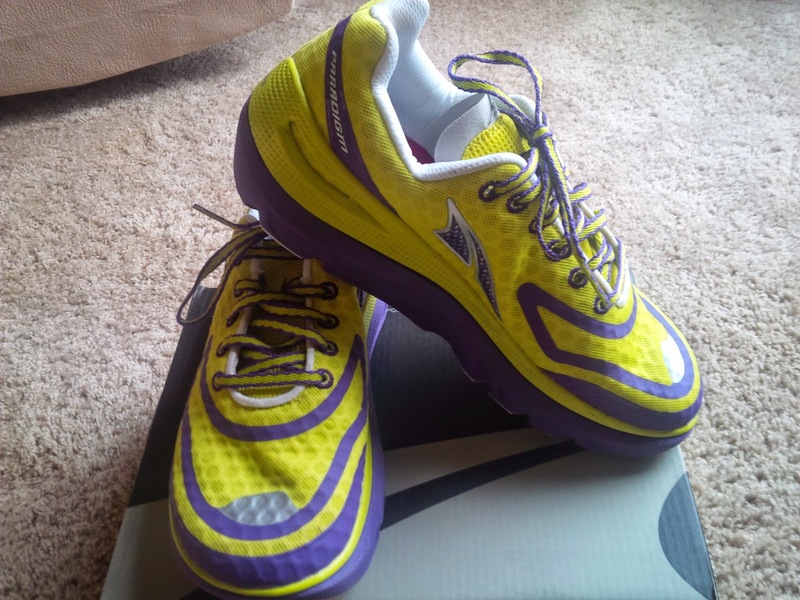 After wearing them to a running clinic I was told that these shoes did nothing to help my form and that they were too "flat" for me. I agreed. the fit was good, but I didn't really "feel good" when I ran in them. I needed a shoe that gave me a better "push off"
4. The Torin- These were the shoe that were suggested to me for that "push off" motion I needed. I found this model to be more of a sleek and fitted shoe. I thought the foot bed seemed too narrow for me and the arch was a bit high. I felt like I was running on the side of my foot. In an effort to "want" to like them I think I may have taken them on 2 runs. I'm wondering if this contributed to that foot pain I had in my arch for a few days? 5. The Paradigm was another shoe that was suggested to me that would give me the "push off" motion I needed. It is said to be similar to the Olympus, which I loved. I REALLY liked the look of these shoes ( loved the color combo). They were cushiony as I liked and had a wide foot bed. They are the lightest in weight of all the Altras I have tried yet when I ran in them they felt heavy. I thought maybe I was just having an "off" run. Later that week I walked the trail in them and felt the same way. It almost felt like I was just "clomp, clomping" along. ( Like I was trying to walk in shoes that were too big for me). Later that month I read the review of them in Runner's World and they confirmed what I was thinking. These shoes didn't have the flexibility or the motion I was seeking. I do not think they are like the Olympus. So my verdict is that the Olympus are my favorite. Although things are not all perfect in Shoe land with me right now. I received another pair of Olympus in the mail this week , same style, same size, just a different color. And guess what, these seem too small. The foot bed is perfect but I feel my toes are hitting the edge. I just can't seem to get this shoe thing down! What has your shoe dilemma been lately? Good morning friends! For today's Thursday's thoughts we have the Rock-N-Roll races on our mind. As you may know we are running R-n-R VA Beach in just over a week and we are getting really excited for it. We are not only running one day, but participating in the Re-mix Challenge which is a race on Saturday and Sunday! We are planning to run R-n-R Philly and R-n-R Las Vegas too! 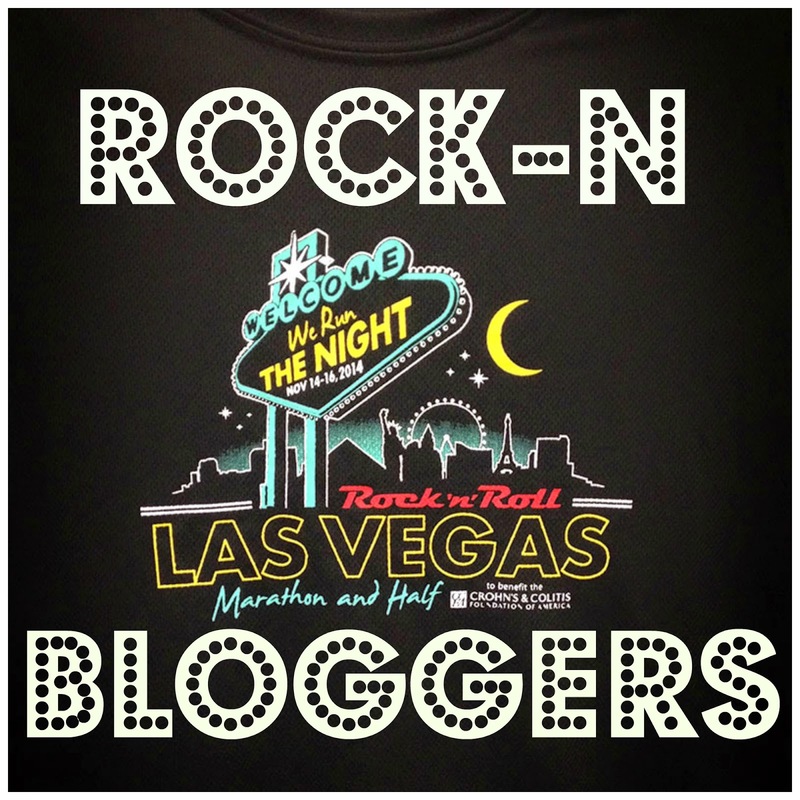 In fact we were just selected to be Rock-n Bloggers for Las Vegas! How cool is that? I'm still not sure what all it entails, but we are excited! Do you follow any of these folks? It will be fun to meet up with Monica and Kristin again, but I don't know any of the other bloggers listed so I'll be excited to meet them too. This will be the 4th year that it's run at night! The Zappos.com 1/2 of the Half event (10K) has already sold out – that’s nearly 4 MONTHS before it sold out last year! There will also be a re-mix challenge for this race too! The image above is what will be on the race shirts! The RnR people have assured us that there will be more surprises in store for us. We can't wait to hear what they announce next! That's all for now folks! What's on your mind? What are you thinking about this Thursday? Hey guys! We have a real fun opportunity for you today. 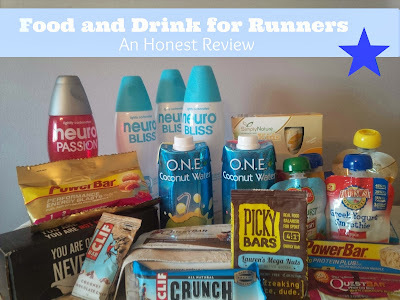 Remember yesterday when we did a review of some runner snack? If not, you can see it HERE. 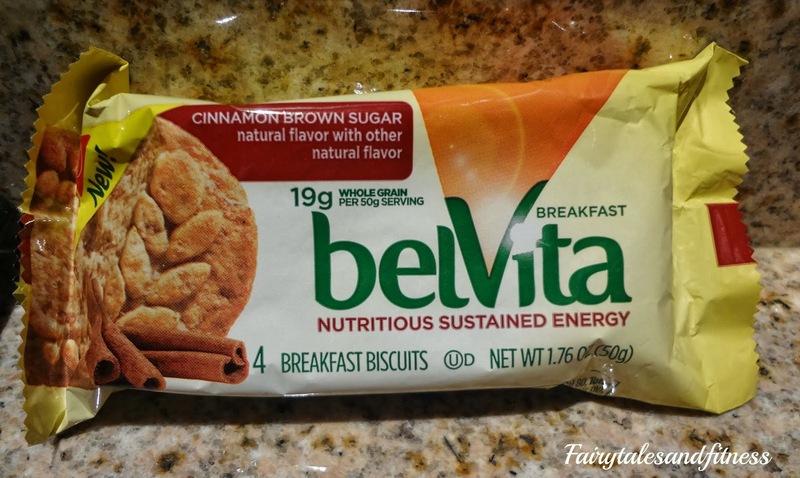 Anyway, one of the snacks that we said we like were the Belvita biscuits. 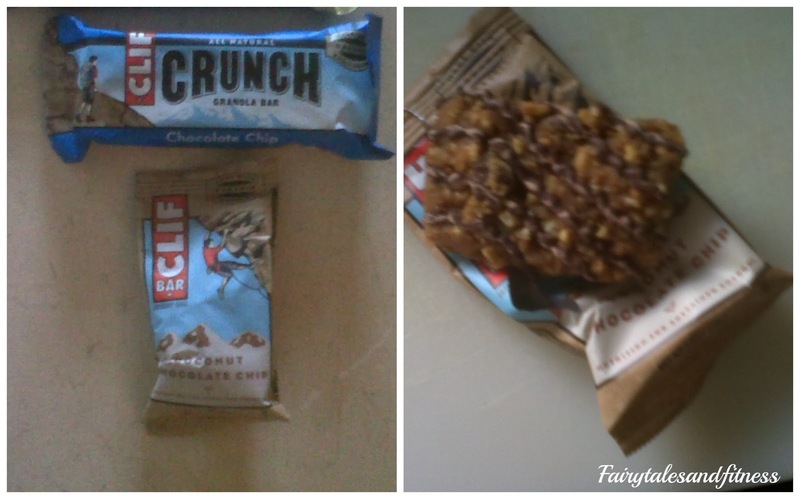 Well today we have a fun opportunity brought to you by Belvita and Runner's World! It's called "My Morning Run Contest"
What do you do? Each morning post your morning run picture to Twitter or Instagram. The contest is already in progress but you still have time to win some cool gear. Here are the Hashtags you will use on certain days and here is what you will win. Aug 18-31- Use #MorningWin #RWSightsEntry to share funny or awe-inspiring sightings along your run. Sept15-28- Use #MorningRun #RWQuirksEntry to spread the most creative or strangest running ritual that gets you out the door! What can you win? A GPS Watch. So what will you be taking a picture of today? We will try to play along. We would love if you would follow along with us on twitter @fairytalesnfit and we just brought ourselves to the Instagram world. We'd love some followers there too so our account doesn't look so pathetic....haha. 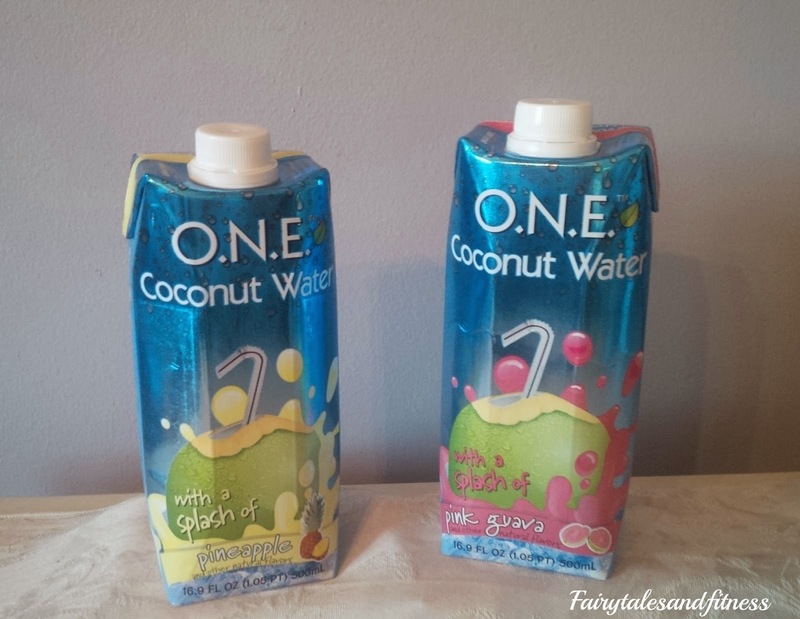 We are @fairytalesnfit there as well. See you in pictures! Are you visiting DL for any of the race weekends? If so, where are you staying? We've all hear the saying "When your legs get tired, run with your heart" ( or something like that). As inspirational as this sounds, I found running with another "H" word to be more helpful. 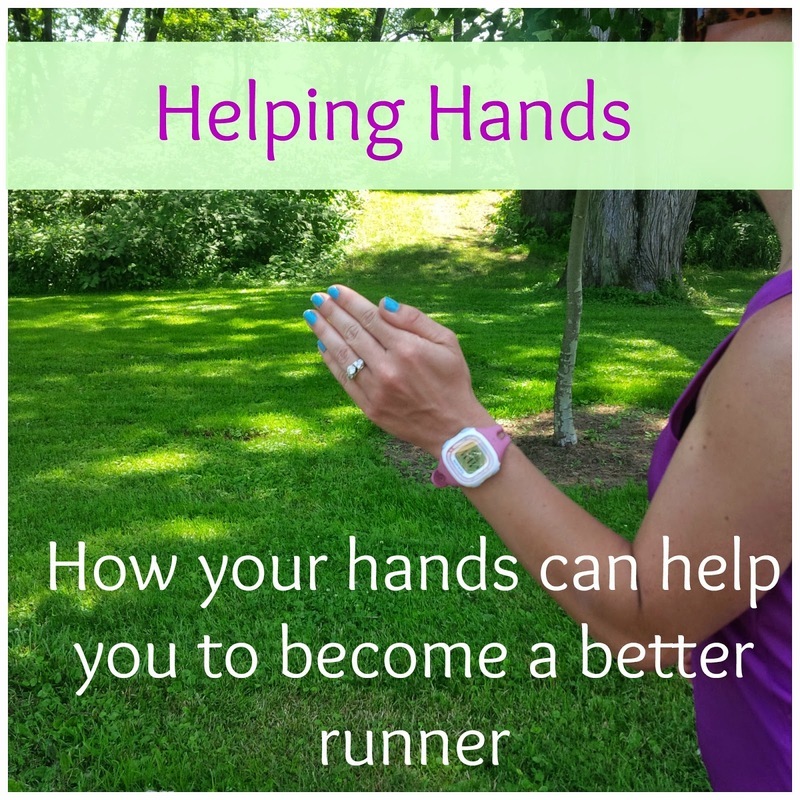 The position of your Hands really does make a difference in your running performance. 1. Run with your arms/hands CLOSE to your body. 2. Make sure your arms are swinging with your body and not against it. What we mean by this is when you are moving your arms to run, your hands/arms should never cross your body. You pick up more momentum when you are moving your arms from front to back. 3. How you hold your hands can make a difference too. When most people are starting out running they will normally run with their hands in a fist. Don't do that. This can cause your shoulders to tense up. Instead, slightly cup your hands almost as if you were holding an egg in each one. 4. Keep moving your arms. I notice that when my legs start to slow down, I move my arms faster and faster and that helps me to stay on pace. 5. 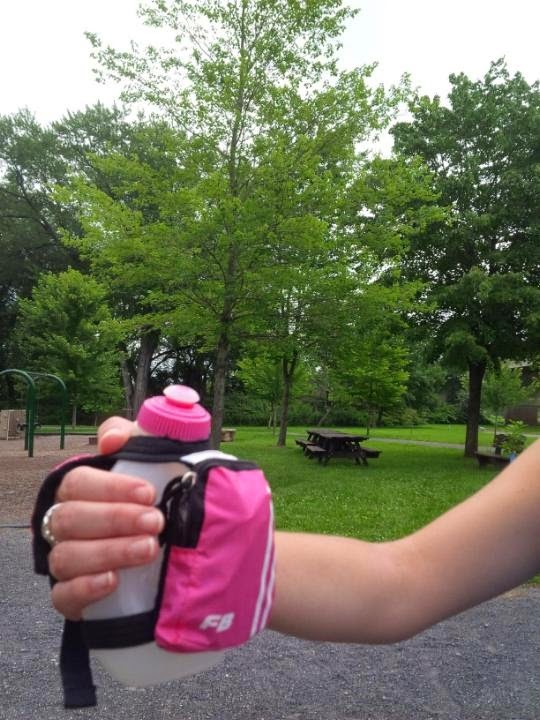 Sometimes holding a hand held water bottle can help train your hands to stay in that position as you run. 6. Make sure to keep this form if you are doing run/walk intervals too. 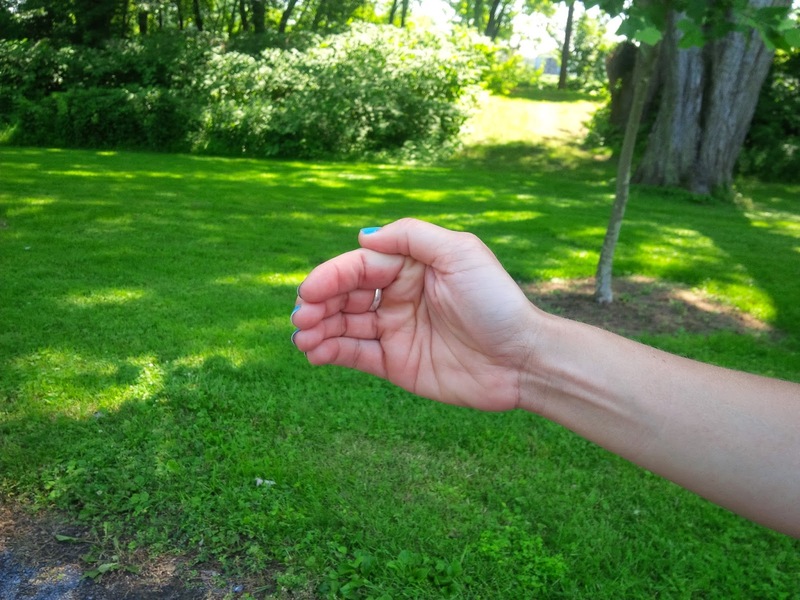 Often times we will see people who's arms/hands look like rag dolls when they are on their walk intervals. Don't let your arms just hang down because you are walking. Better arm and hand movement will speed your walk breaks as well. So next time you go out on a run, notice how you position your arms and make them an integral part of your run. Do you have any arm/hand tips when it comes to running? This is the part of the week where we recap what we've done/accomplished and the new things we've tried. Sometimes it's eventful and sometimes not so much. Here's a peek of how the week went down for us. 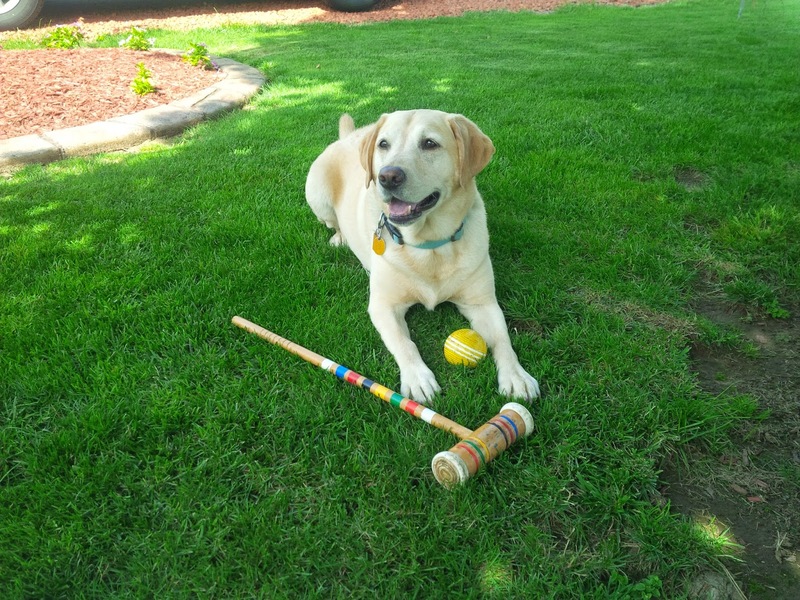 After all the running we played a few friendly games of croquet. 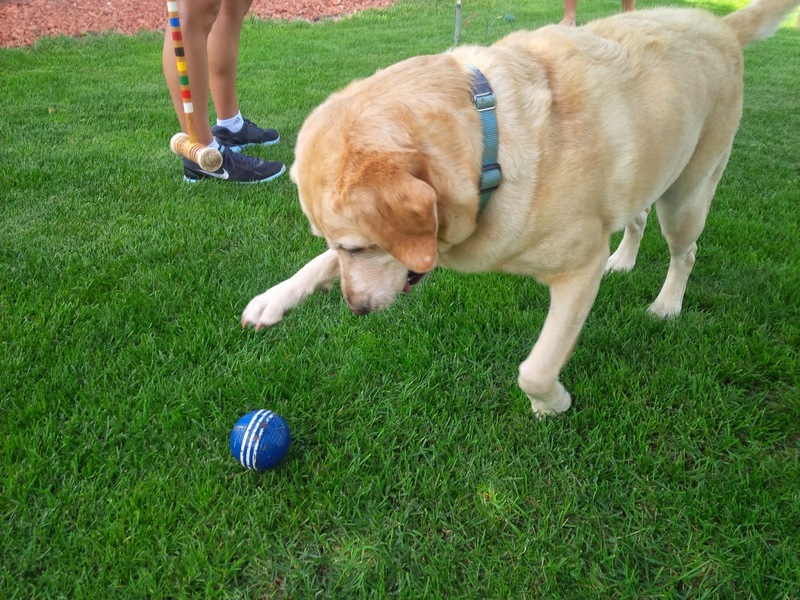 A problem occurred when Miss Belle decided that she wanted to chase all the croquet balls and run off with them in her mouth. 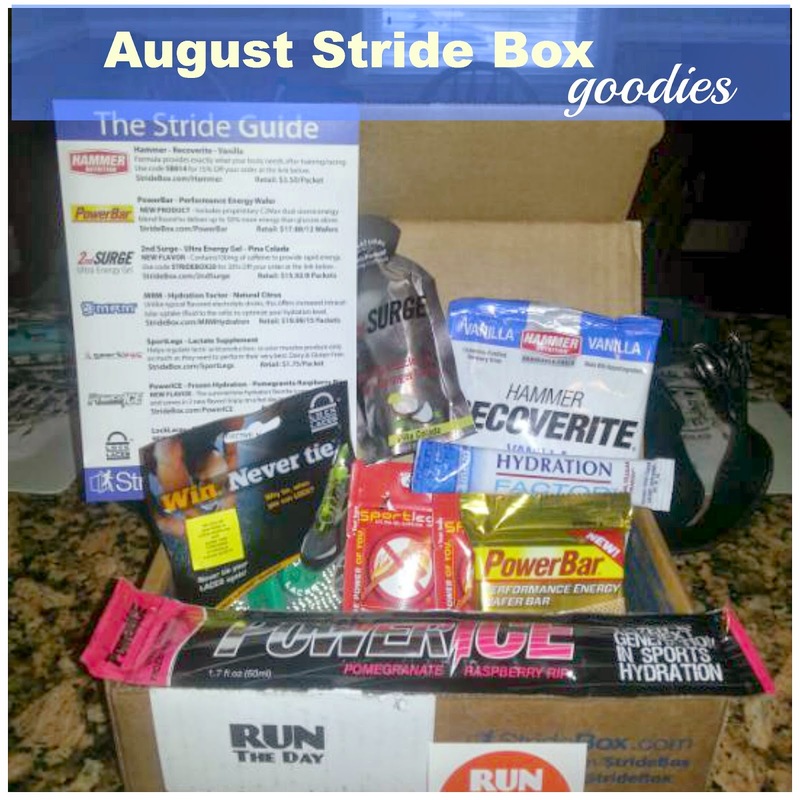 My Stride Box for August arrived with lots of new goodies. 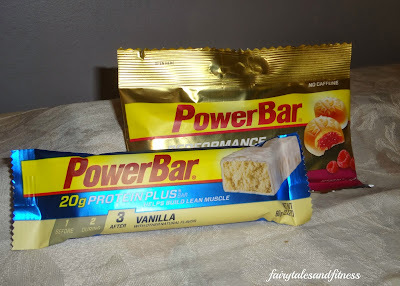 This month's box includes: Hammer Recovery-Vanilla, Power Bar Wafers ( which my sister had before and she said she liked them), 2nd Surge Ultra Energy Gel-Pina Colada, MRM hydration Factor-Natural Citrus, Sportlegs lactate Supplement, PowerIce Frozen hydration- Pomegranate Raspberry Rip, and Reflective Lock Laces. I tried a new recipe this week. I found it in one of my old magazines and thought I'd give it a try. Bake dough for about 8 minutes. Heat 1 tsp of olive oil in skillet. 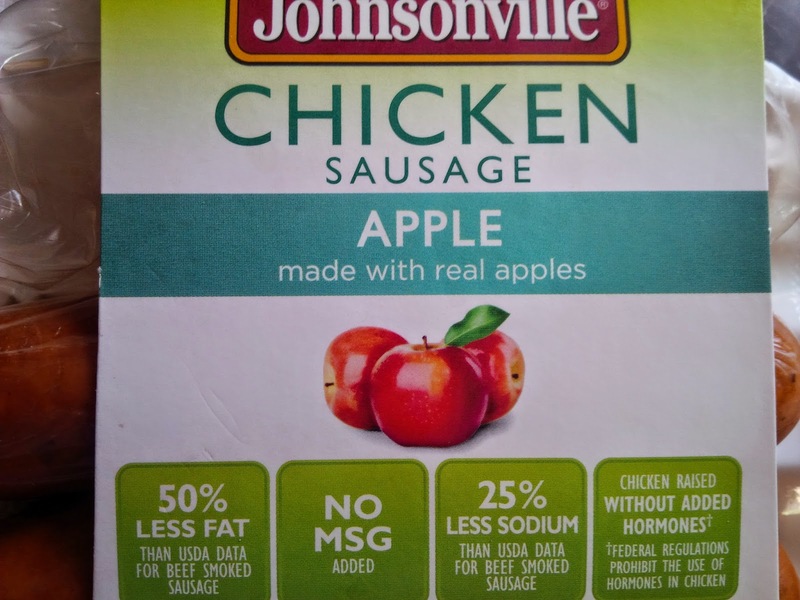 Slice sausage and cook in skillet till brown ( about 3 minutes). Set aside. Slice and cook onions till caramelized ( about 8-10 minutes). 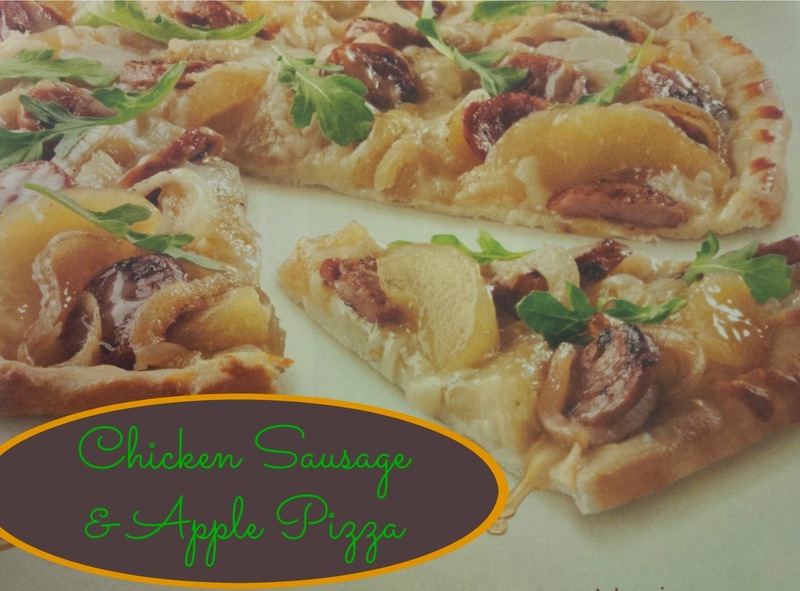 Spread apple filling, sausage, onions, and cheese on pizza crust. Bake for 10-15 minutes or until cheese is melted. Top with arugula and serve! What did you do this weekend? 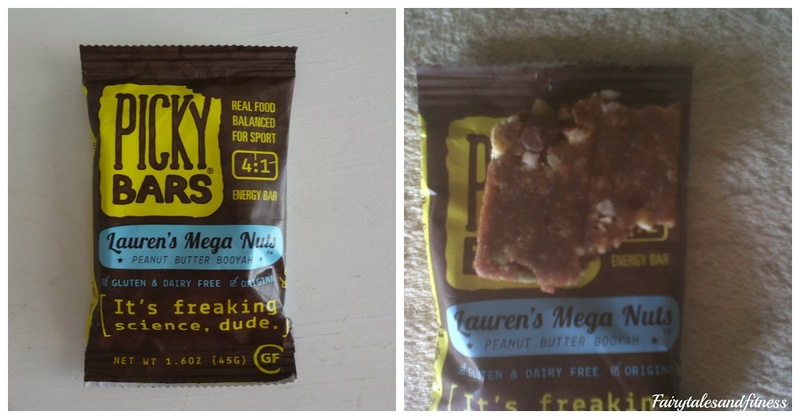 Did you try anything new? Do you have lock laces?